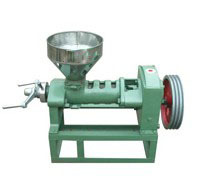 The main structure of YZS-68 soya oil press is composed by one piece of worm shaft and several pieces of screw rings. 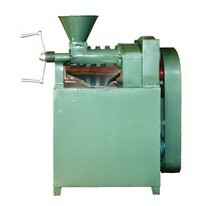 It adopt two section of pressing in press chamber. 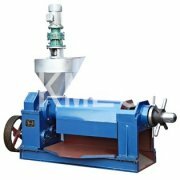 According to different raw materials, the oil content of feedstock can be fully extracted out at several times of pressing. The residue of material still content certain oil which have not extracted cleanly. The oil residues are rich in nutrition as a kind of animal food. So the oil residue can be used as a good feedstuff for animals. This model of oil press machine has simple design, easy operation, highly productive, conserves energy, has less noise and a high rate of oil output. 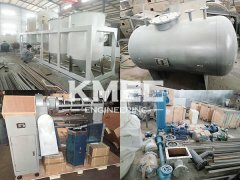 This soybean oil press We can also supply complete set of equipment for flour processing and series rice mill with blowing wind. The oil extracted out from YZS-68 Oil press is only crude oil, which need more process such as filtering, simple refining. Then the oil can be edible oil for cooking. So it is very convenient for home using. It have only 5.5kw power consumption. So the power can be electricity or diesel generator. 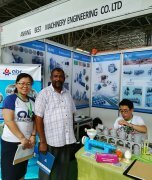 For biodiesel lovers, they can make biodiesel by themselves at home by using the machine.This type of soybean oil press has advantage of simple design, easy to operate and low maintenance. At the same time it can be designed into c series and A series. Product Produce：It's matched with gearbox for saving power and not any noise when working. 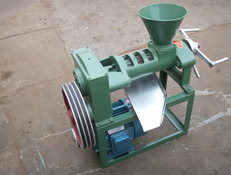 Suitable for extracting vegetable oil from different oil-materials, such as peanuts, rapeseeds, sesame seeds, soybeans, cottonseeds, tea seeds, tung tree seeds, sunflower seeds, palm seeds, olive, coconut meat, corn pummels, etc. Anytime you are interested in our YZS-68 series oil presses, please feel free to cintact us in the fllowing form, we will always at your service.